17 May Good export prices and a little rain not enough. With the Beef Australia conference on in Rockhampton it looks like buyers pulled up stumps for the week and went north. This was evidenced by further declines across most cattle categories, despite some support coming from export markets. The Eastern Young Cattle Indicator (EYCI) continued its downward trajectory, posting a 13.5¢ or 2% fall to plumb new three year lows of 484.75¢/kg cwt. Our resident technical charting expert is networking in Rocky, no doubt enjoying the weather while the base in Ballarat freezes, but even to this untrained eye there are some interesting trends. Figure 1 shows the EYCI approaching its five year average, currently sitting at a 23¢ premium. We would think the five year average should offer somewhat of a support level. Figure 2 shows the classic ‘head and shoulders’ charting pattern. We’ve just broken thorough the right shoulder, and look to be headed down the arm. The five year average is about the elbow, let’s hope it stops there and doesn’t head down to the knees where we were back in 2014. There was some positive news about. Figure 3 shows the 90CL export price chart we published earlier in the week, with a solid tick upwards in US prices, and the AUD falling below 75US¢, pushing our price back to 590¢/kg swt. Additionally, most of Victoria, and South East South Australia got some good rain over the last few days. It will be particularly important for parched parts of Gippsland. These areas only account for 4 million head, or 16% of the national herd, so it’s unlikely to move the market too far. 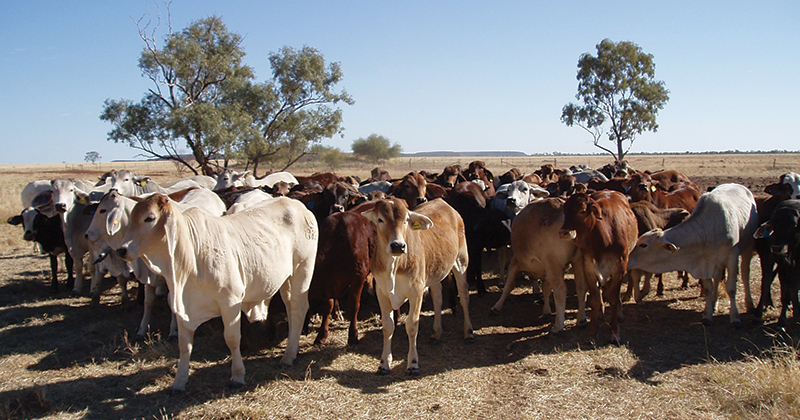 There is still no rain forecast for NSW, so it’s hard to see cattle markets heading higher in a hurry until there is some relief. Grain prices also continue to charge higher, with feed grains heading towards $280-300/t and this will obviously dampen demand from lotfeeders. A real rally in cattle markets is going to require rain, and there is probably still scope for it to head lower if it remains dry.